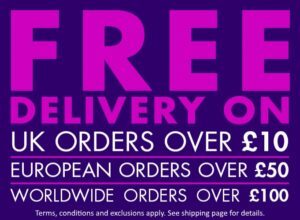 A blueberry, cream and pomegranate flavour E juice. 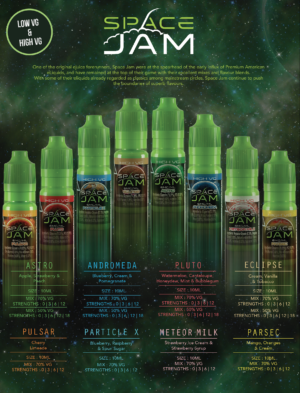 Space Jam E-Liquid was brought to Earth in 2012 to provide human vapers with a superior e-liquid and a better overall vaping experience. 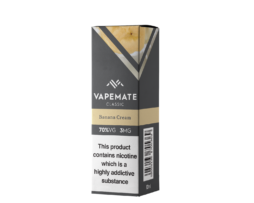 At the time, the vaping industry on Earth was in its fledgling stages, and the vaping community was just beginning to multiply. 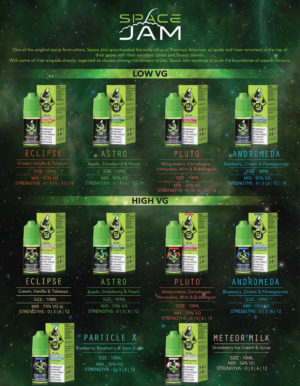 The arrival of Space Jam took the industry by storm, effectively changing vaping forever.